Things are getting busy in the literary world again, so I thought I'd give a synopsis of what's coming up from an event standpoint. Interview on The Write Stuff blog radio Tune in this Tuesday evening September 20th at 5:30 PM for my interview with radio host, friend and fellow eLectio author, Parker J Cole. Parker was kind enough to interview me about my book, Dirty Shirt a while back and offered to have me back on the show to talk about my poetry books. She is an engaging host and I haven't really had a chance to talk about my poetry much in a radio setting, so am really looking forward to talking to her. I am always surprised when someone says that they heard about me from a radio interview, but it's happened quite a few times with Dirty Shirt. In book publishing you need to make yourself available whenever an opportunity arises for publicity. I see this as a good one of many avenues for exposure. Tupelo Press 30/30 Reunion Poetry Reading This Friday, September 23rd at 7:00 PM, I will be reading with eight other poets at the Arts and Literary Laboratory in Madison. This is a reunion of poets from around the Midwest who have taken part in the Tupelo Press' 30 poems in 30 days challenge. I participated in this in January and found it to be one of the most challenging and stretching writing exercises I've ever been a part of. 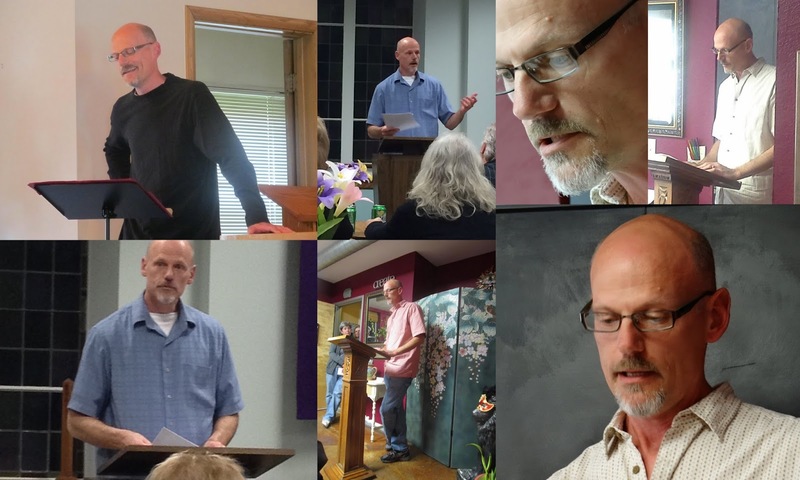 When I took the challenge I had a plan all along that I would come out of the 30 days with enough material for a chapbook (a short collection of poems.) Well, I added a few to the 30 and ended up with my collection, Reciting From Memory. I'll read from that collection, so if you're in the Madison area, stop by and check it out. AllWriters' Friday Night Free For All Reading On October 7th at 7:00 I will be one of a number of writers reading some of their work. I was asked to read from Reciting From Memory, so that will be my focus. If you've never been to this event before, (FNFFA) it is a fun way to hear from writers of all genres, including poetry, novel, short story and nonfiction. It usually features a guest writer and is always a big draw. The event was recently moved to Cafe De Arts in downtown Waukesha to accommodate the bigger crowd as well as to allow people to purchase coffee and baked goods. This is a fun group for sure, so please join us! Southeastern Wisconsin Festival of Books Panels This event is one of Southeastern Wisconsin's biggest author showcases and takes place on November 4th and 5th at the University of Wisconsin - Waukesha. I am sitting on two different panels, one dealing with crossing over genres, the other on the interplay of family experiences and writing. My writing mentor, Kathie Giorgio will be moderating these discussions and, as in the 2014 event, I really look forward to talking about my experience as well as networking with other authors. It is a GREAT event and I hope to see you there. And so, I have a busy fall coming up, and that is the way I like it. These opportunities to get out in front of readers are just invaluable. As I've done more and more with Dirty Shirt, I've become much more comfortable in front of a group and have actually come to enjoy the experience and, more than anything, connecting with readers afterward. As always, you can keep track of what's coming at my events page, Click Here.